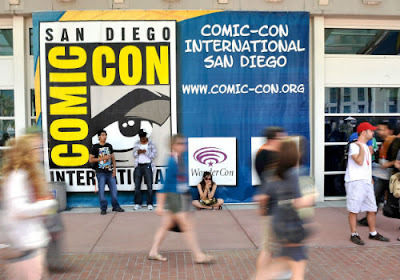 The special bonus episode of Out Now with Aaron and Abe is all about San Diego Comic Con. Aaron was in attendance for all five days along with frequent guest and friend of the show Alan Aguilera. The two of them are both present for this episode, talking at length about what happened mainly in regards to the big movie panels that occurred within the always incredibly packed Hall H. Both Aaron and Alan share their experiences within the hall and talk about the footage seen and what went on with the panel participants. The two also talk about some of their favorite experiences and sights seen at this year’s Comic Con. It is a lengthier discussion than anticipated, but certainly packed with info.